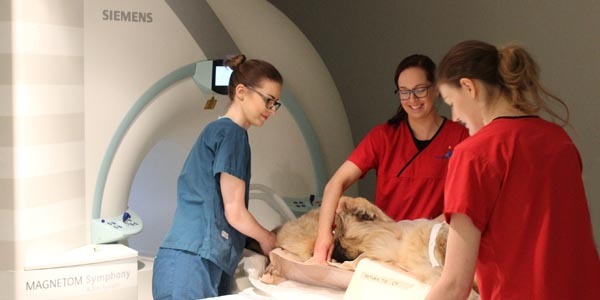 Research into a pioneering hip implant procedure which has been developed by Fitzpatrick Referrals has this month been published in Veterinary Surgery Journal, marking a significant advance in challenging hip cases. The surgical technique for reinforced augmentation of the dorsal acetabular rim (RADAR) using a SOP™ locking plate and polymethylmethacrylate (PMMA) bone cement was developed by Noel Fitzpatrick and his team at the state-of-the-art practice in Surrey and offers new hope in cases where there is little or no bone coverage over the dorsal acetabular rim. Traditionally this has precluded dogs from having a hip replacement because a cup (acetabular component, either cemented or un-cemented) could not be seated without coming loose and falling out. The paper reports on the clinical outcomes of seven cases over a two year period. The eighth dog to undergo this procedure was Freddie Ball, entertainer and broadcaster Michael Ball’s eleven year old Tibetan Terrier. Freddie was brought to Fitzpatrick Referrals in September 2010 following a road traffic accident. His hip was already affected with arthritis and was not replaceable into the joint, therefore femoral head and neck excision (FHNE) was performed in order to try to have Freddie walking without pain. FHNE is the most common operation employed in the UK for salvage of hips damaged beyond repair either due to trauma or osteoarthritis. Freddie responded well to the treatment initially; however a few months later, the signs of damage began to manifest and in April this year, Freddie returned to the practice to undergo this novel procedure. Basically, he had developed such severe fibrous adhesions that his sciatic nerve was adversely affected and he was in constant pain. The Fitzpatrick Referrals team are committed to finding new solutions, particularly in cases where there are no alternative options which was certainly true in Freddy’s case as any alternative procedures had already been performed. 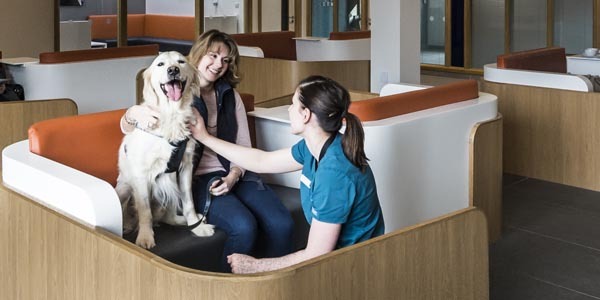 The procedure served Freddy particularly well and he was reunited with Michael in May and has been making regular trips to Fitzpatrick Referrals for physio- and hydrotherapy at the practice’s rehabilitation centre. Freddie recently completed his rehabilitation programme at Fitzpatrick Referrals and has over the past few months become a bit of a national hero, being the subject of the entertainer’s posts on Twitter and also receiving regular mentions on ‘Michael Ball’s Sunday Brunch’ show on Radio 2. When introduced recently on ITV1’s ‘Paul O’ Grady Show’, the entertainer was asked ‘How’s Freddie?”. 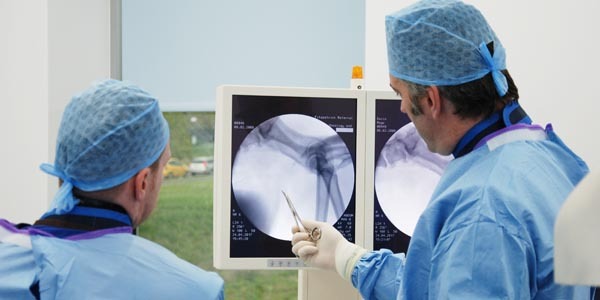 The technique has been evolved by Dr Fitzpatrick for salvage of particularly badly damaged hip joints and equates to some of the most complex hip surgeries performed in humans today. 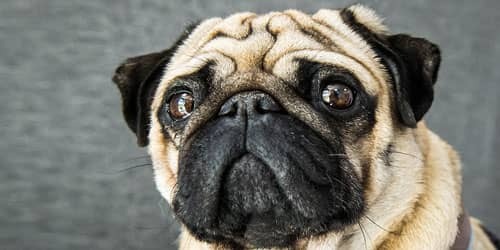 Conventionally when FHNE has failed, particularly in the presence of a paucity of dorsal acetabular rim, revision to total hip replacement (THR) was sometimes impossible and these dogs either ended up on painkillers, or sometimes even needed full limb amputation. The seven procedures hitherto performed by Dr Fitzpatrick have also been the subject of lectures at a number of scientific conferences this year, including the European College of Veterinary Surgeons meeting in Ghent Belgium in June. The paper is in this month’s edition of Veterinary Surgery, the official journal of the American College of Veterinary Surgeons and the European College of Veterinary Surgeons. To view it online please visit http://onlinelibrary.wiley.com/journal/10.1111/(ISSN)1532-950X/earlyview.